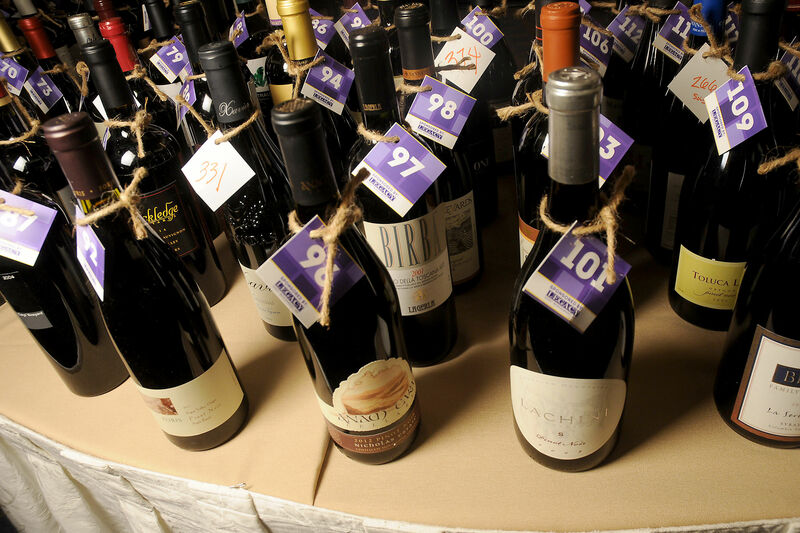 The gourmet steakhouse is bringing out some acclaimed bottles for this monthly event. A Japanese whiskey flight from the Beam-Suntory portfolio at Mastro's Steakhouse. If you’ve been to Mastro’s Steakhouse, chances are you’ve seen the gorgeous patio and lively piano bar. But did you know that, in addition to the restaurant’s main bar area, that there was a second bar dedicated entirely to whiskey? In an intimate corner of the restaurant away from the crowds, the whiskey bar boasts an impressive selection of approximately 400 whiskeys from around the world. Pappy Van Winkle, The Balvenie, Yamazaki 18 Year—from American bourbon to Scotch and obscure international labels like Kavalan from Taiwan, if whiskey is your thing, you’ll probably find what you’re looking for at Mastro’s. Beginning today, Mastro’s is enhancing its whiskey experience with the introduction of a monthly whiskey flight and food pairing series. The plan is to change the flights and food pairings each month so that guests will have the chance to experience several different whiskeys in time. The whiskey flights will likely include four whiskeys, selected to show the breadth and range of a particular label or region, priced at an average of $30-45 for four, one-ounce pours. 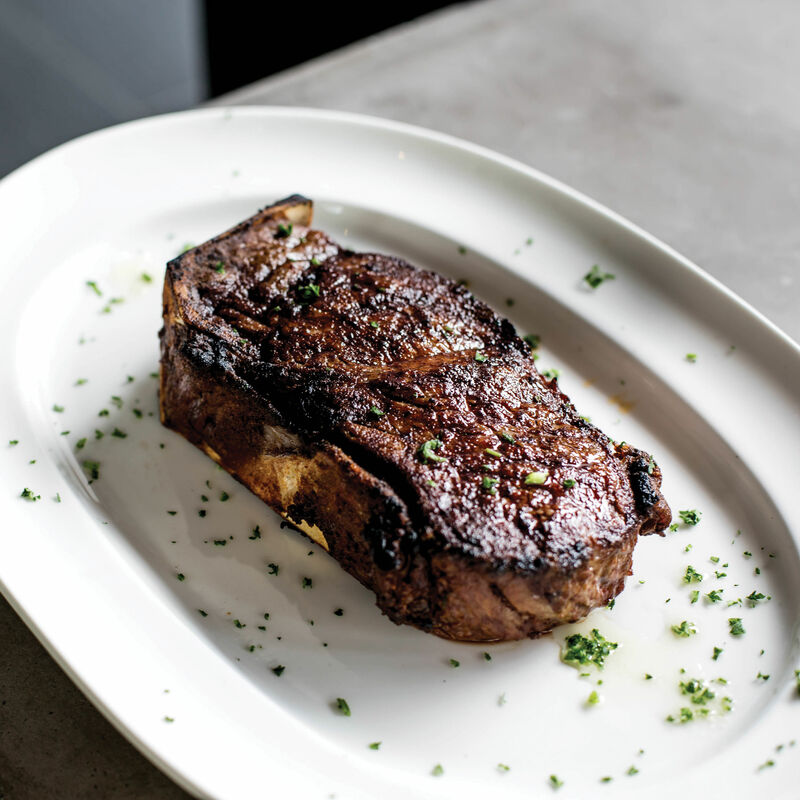 Suggested food pairings, developed by Mastro’s Houston executive chef Michael Colbert and his team, will be offered on an a la carte basis each month to complement the month’s pairings. For this introductory tasting, Mastro’s is offering three main flights. First is a Buffalo Trace Antique Collection, priced at $55, which includes half-ounce pours of five George T. Stagg, William Weller, Eagle Rare 17 Year, Sazerac Rye 18 Year, and Thomas H. Handy Sazerac. 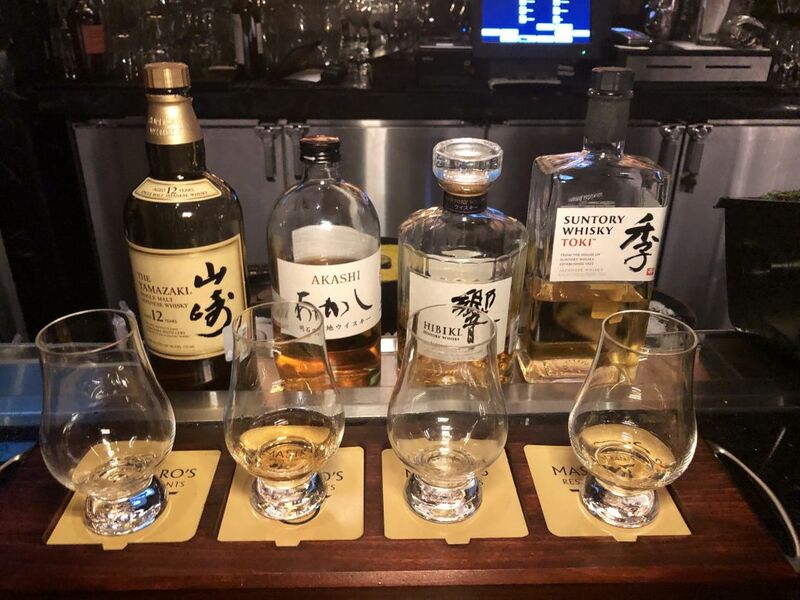 The Beam-Suntory portfolio of Japanese whiskeys is also being featured with a Japanese flight of four one-ounce pours: Akashi White Oak, Hibiki Japanese Harmony, Suntory Toki, and Yamazaki 12 Year, priced at a reasonable $45. A higher-end flight offering is the Beam-Suntory East Meets West flight, featuring Yamazaki 18 Year, Booker’s 30th Anniversary, Hakushu 12 Year, and Knob Creek Limited Edition 2001, priced at $120. Tonight's whiskey and food pairing is Japanese-themed, in keeping with the Japanese theme prevailing in two of the flights. Sushi lovers will appreciate the trio of hyper-fresh o-toro (fatty tuna) nigiri sushi ($35) that Colbert says was flown from Hawaii and hasn't been frozen. Served with wasabi and pickled ginger, the nigiri serves as an excellent pairing for the lighter bodied Suntory Toki and Hibiki Harmony. An ora king salmon poke ($25) is also on offer. Seasoned with a sushi vinegar dressing, with fresh avocado cubes, Mexican onion, and orange and black tobiko that popped on the tongue, the dish is as delicious on its own as it is paired with an off-dry Riesling or the Japanese whiskey flight. Mastro's take on the famous wagyu katsu sando. 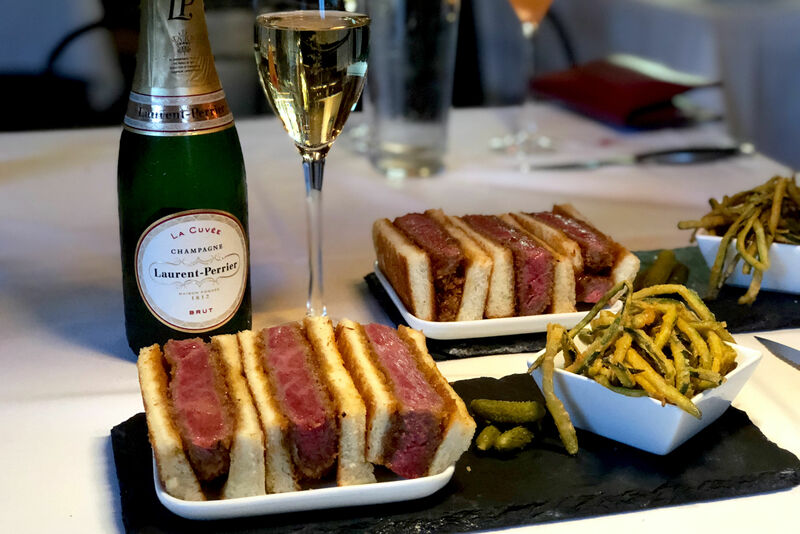 But the piece de resistance is the wagyu sandwich, a riff on the popular wagyu katsu sando that originated in Japan and has been seen recently in Houston. Priced at an incredible $60, it's a generous three ounces of Japanese A5 wagyu from Miyazaki deep-fried in a thin coating of house bread crumbs and sandwiched between buttered brioche that's been slathered in Japanese mayo and topped with summer black truffle. It's served with whole-grain mustard. 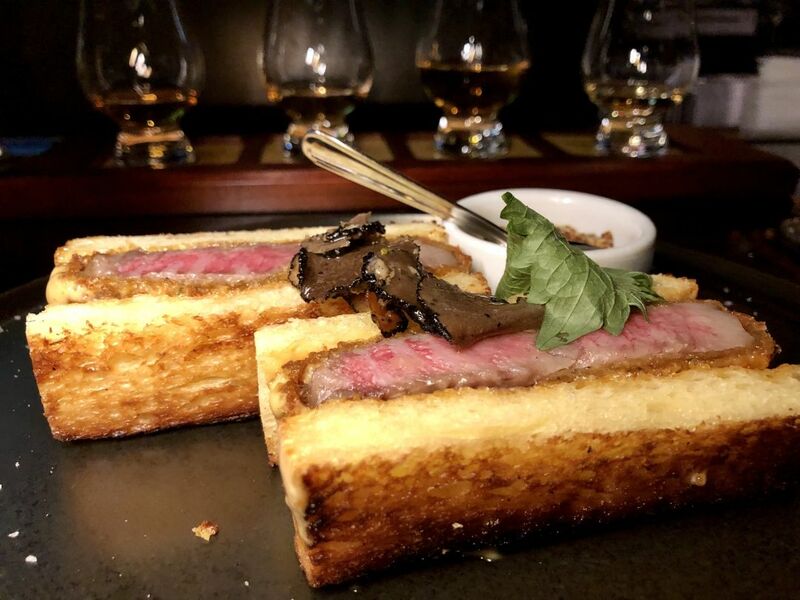 The heftiness of the dish makes it the ideal pairing with any of the April whiskey flights, but it washes down especially well with the Yamazaki 18 Year. Also, high rollers who can afford the extravagance should hit Mastro’s on April 27. For one night only, the steakhouse will be offering two Louis XIII-inspired cognac flights: A “Remy Martin” flight ($120) consisting of half-ounce pours of Remy Martin 1738, Remy Martin XO, and Louis XIII; and an “Ultimate Remy Martin Flight” ($550) featuring half-ounce pours of 1738, XO, Louis XIII, and the ultra-rare Louis XIII Black Pearl.